Great things come in Small Packages! This Single Story Patio Home won't disappoint! Notice all the details: Patio Doors surrounds the home bringing the outside IN. Upgraded lighting and fans, Wine Cooler, Stainless Steel Appliances and decorative tile floor makes this home POP! Enjoy beverages on the patio and watch the sunsets. Strip & Mountain Views! 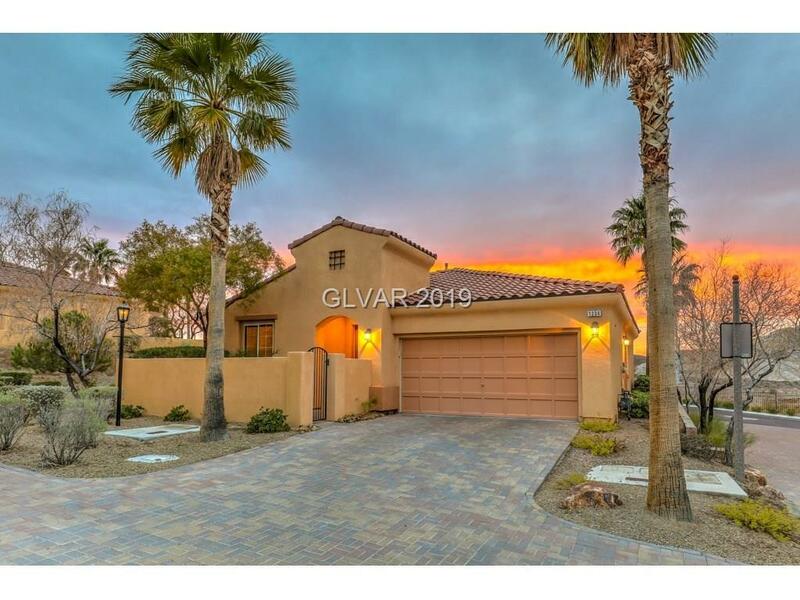 Steps away from walking paths and the Lake Las Vegas Sports Club.THIS IS LAKE LAS VEGAS LIVING! Directions: East On Lake Mead, Left On Lake Las Vegas Pkway. Left At Via Vin Santo. Last Gated Community On The Left. Left Into Villa Palermo Community Onto Calcione Dr.